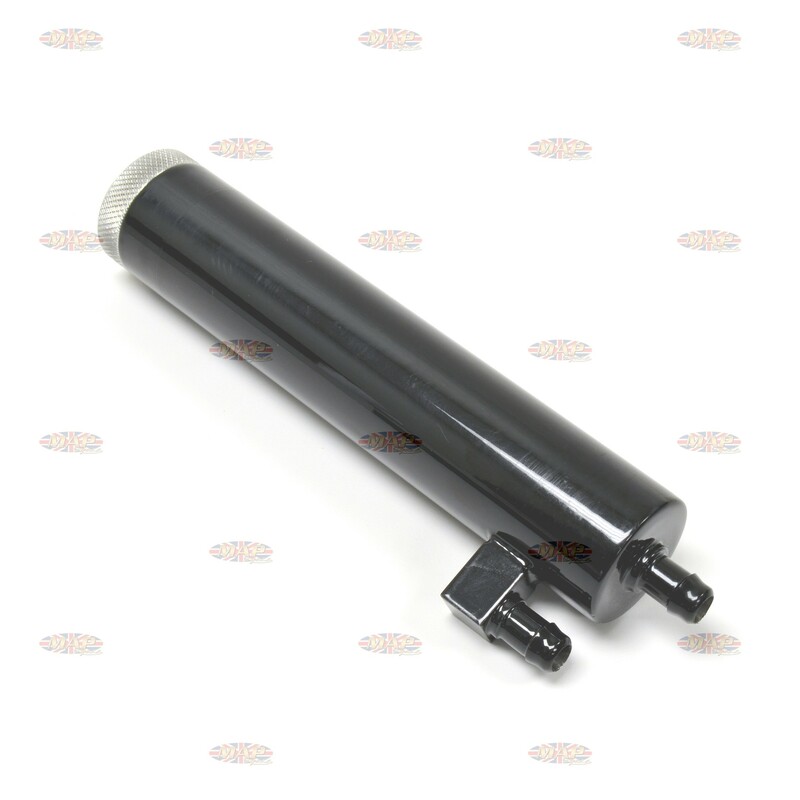 Have a Question about MAP Universal Oil Filter Kit - Black ? Universal & Most Pre Oil-in-Frame models can use this specially designed filter. Mounts behind rear passenger peg or can be mounted virtually anywhere. Can be used with oil coolers. 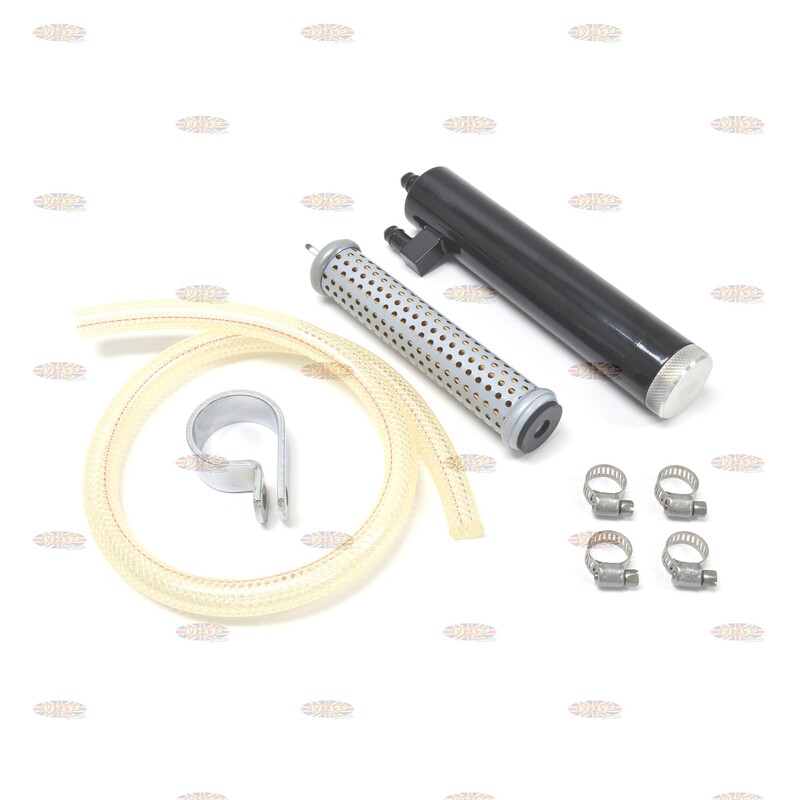 Can this kit MAP6510 kit be used on OIF model? Yes, but in most cases, we suggest the MAP6500 or MAP6500/C for oil in frame applications. I purchased one of these for my BSA A10. The instructions are for a Triumph installation and say to mount it horizontally on the swingarm. Will it affect operation if its mounted vertically instead? You may mount it at any angle without effecting function. 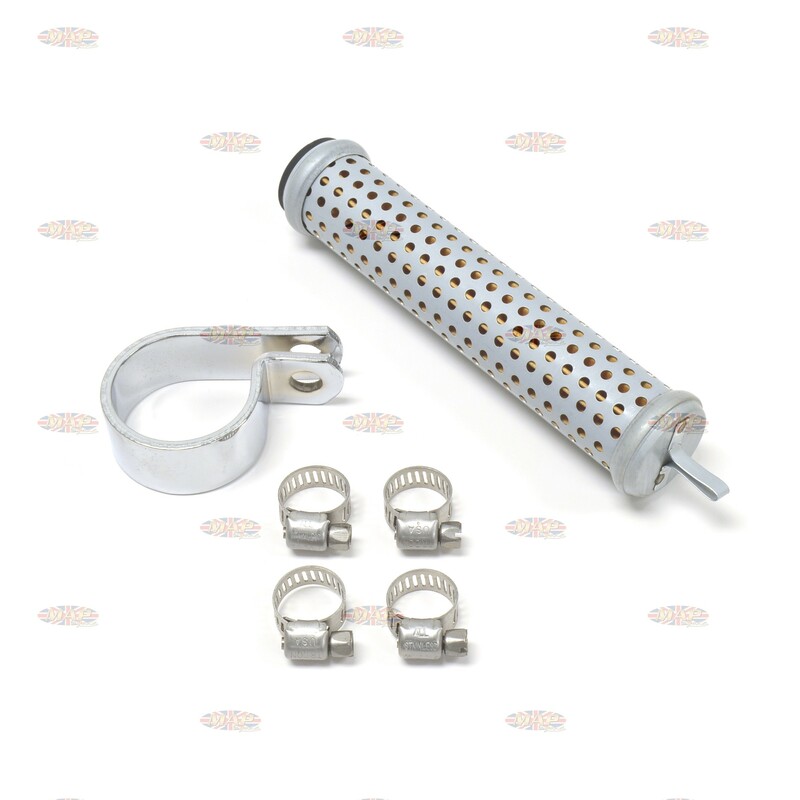 I have had your oil filter kit on my 1967 Triumph 650 for a long time and it is great. I recall in the instructions that it said to change the oil every 1000 miles. I have been changing the filter in the kit each time, too. Is this correct or does the filter last longer? I think the elements I have are made by Emgo. You've been doing the right thing. Triumph twins have an inefficient oil pump and top-end oiling system, plus no stock engine oil filter to speak of. 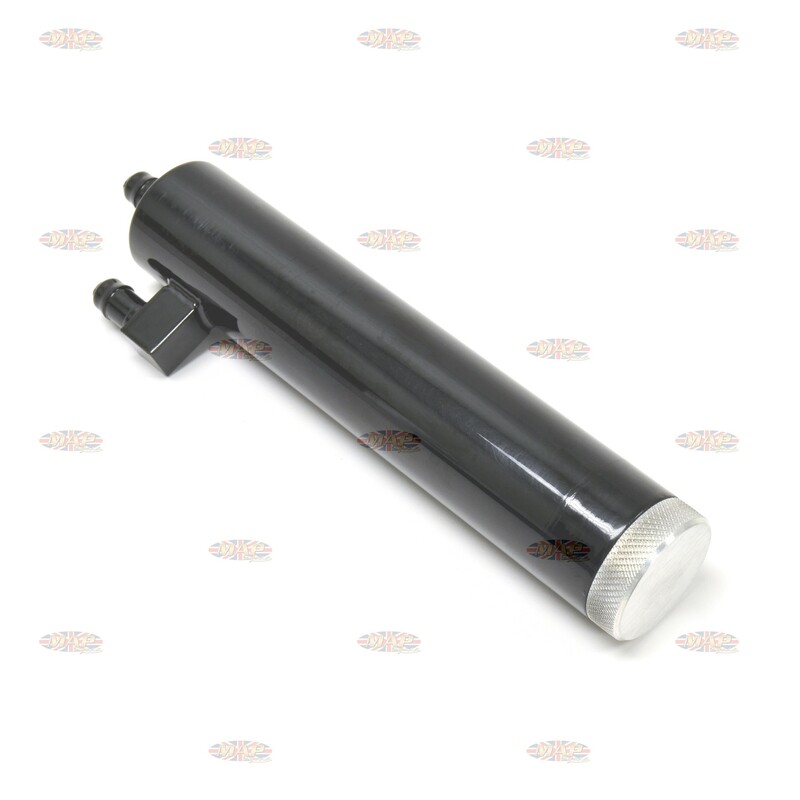 That's why it's a good idea to add our aftermarket oil filter and to change the filter element every time you change the oil. Yes, today's oils (especially the synthetics) do a much better job than they did when your bike was manufactured, but the problem is not with the oil as much as the engine's oiling system. 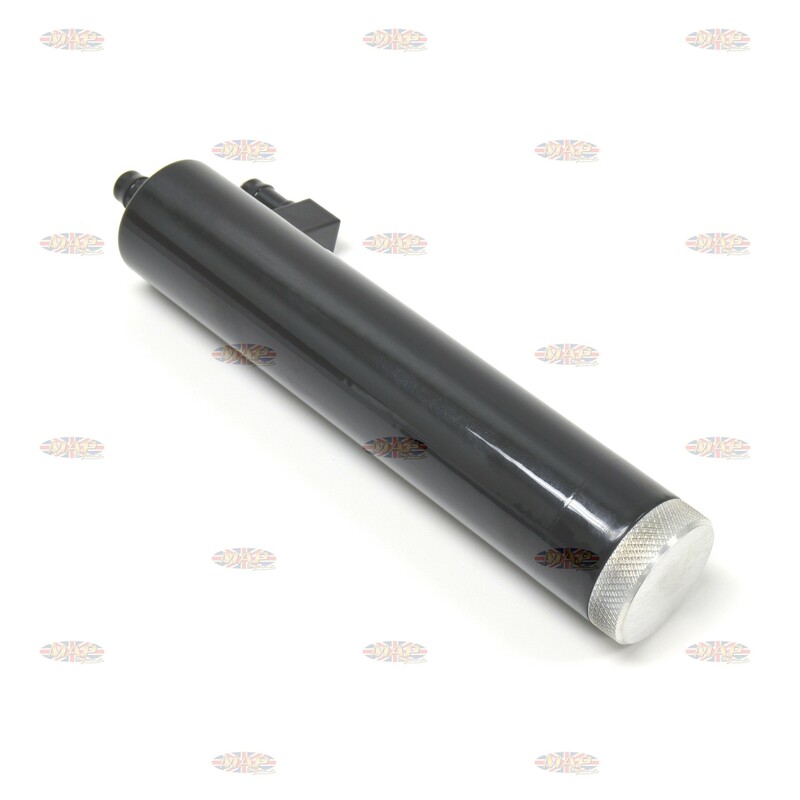 Adding our filter system (like you did) really helps and we find frequent replacement of the filter element is cheap insurance against the one thing that can quickly kill a vintage motorcycle engine - dirty oil. 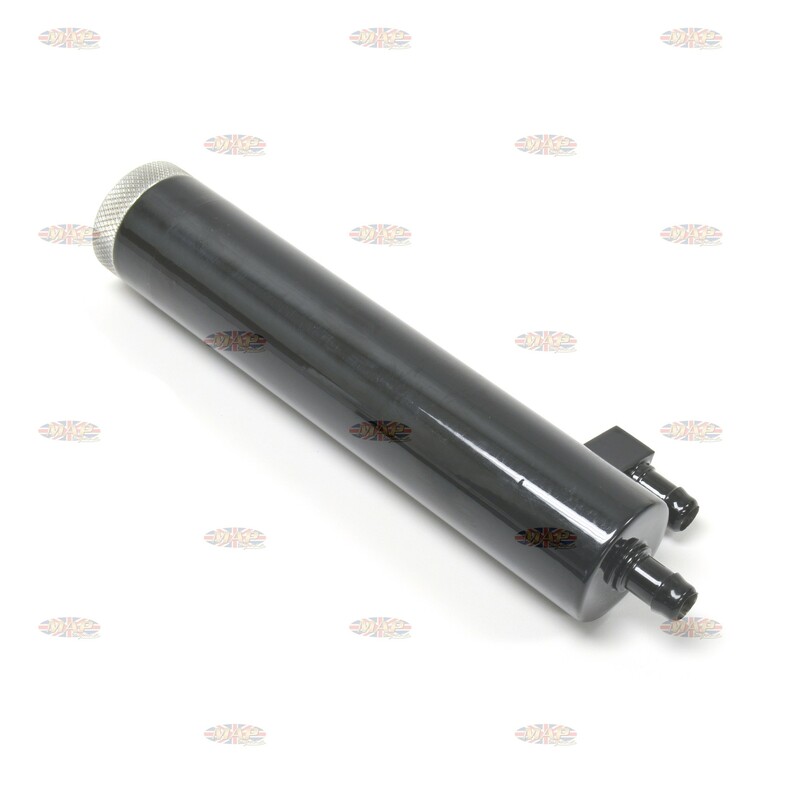 The EMGO filter elements we sell for our filter kit are well made and very reasonably priced. I'd buy a couple years worth just to keep them on hand. I have this same filter on my vintage Triumph and always change the element with the oil. It's much cheaper in the long run than rebuilding the crankshaft. 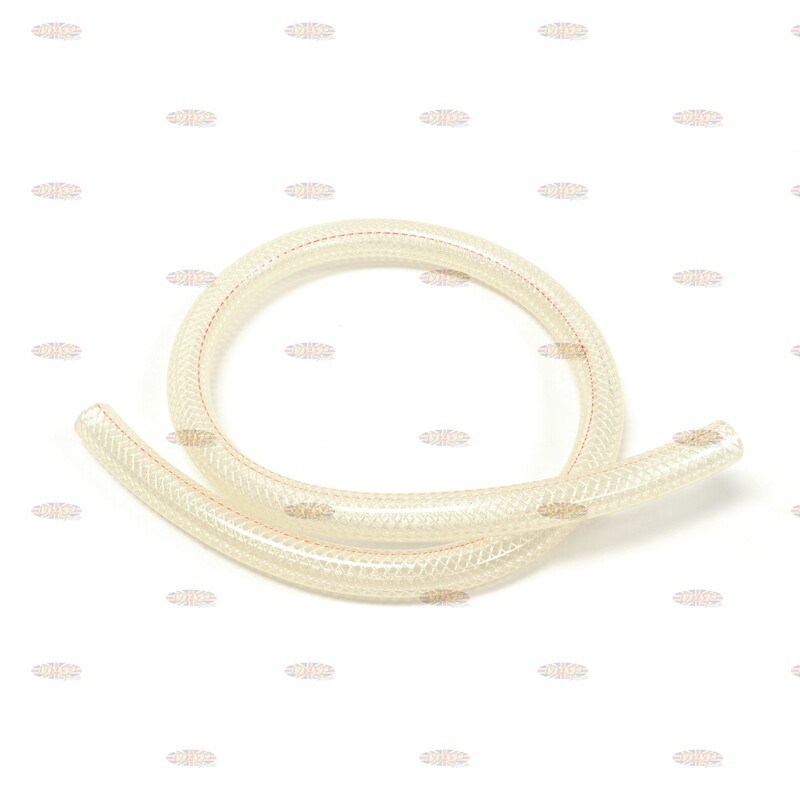 I just purchased a bike with this filter not plumbed yet. Is it OK to mount this filter with the cap toward the top and the lines coming up to the filter from the bottom? Does the side spigot to to the oil tank? Because its a pressurized system, you can mount it just about anyway that is convenient for you. Yes, the side spigot is the return to the oil tank. what size line does this use? 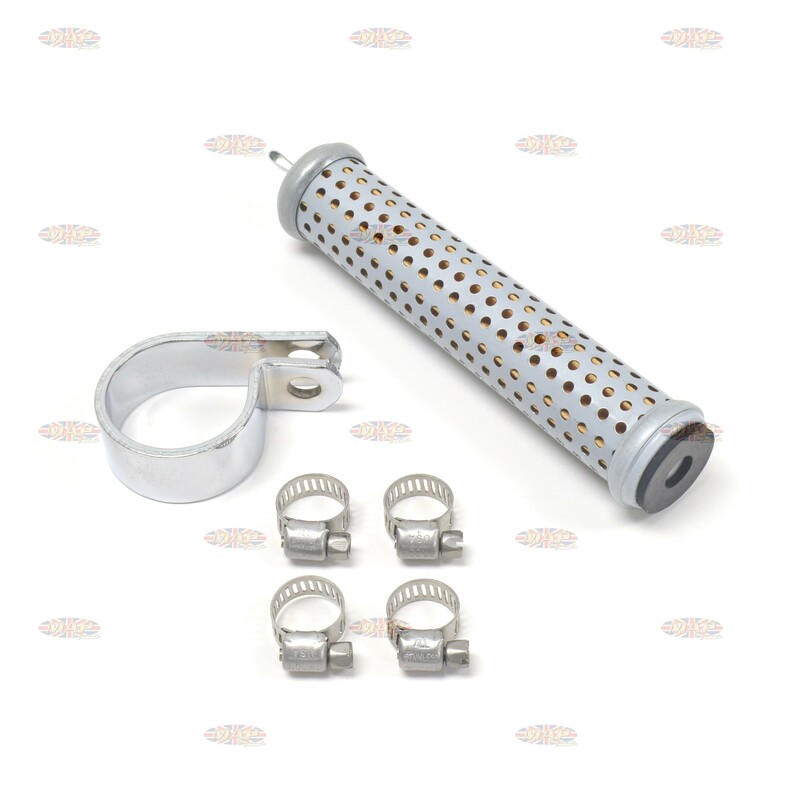 Our oil filter kits use 5/16" line. I just bought one of these from you and i have a question about the oil feed line in. The oil feed to my rockers on my Triumph 1966 t100 actually comes from inside the oil tank at a t-piece...one side sends oil to the rockers and the other is i believe the feed to the self lubricating chain. The oil return where it spits back into the tank is actually on the t-piece below the rocker feed on the metal pipe within the tank so i cannot install it just prior to the rocker feed as per the instructions. Can i install it on the return line from the engine that goes to the oil tank BEFORE it feeds to the rockers? This is the only way i can see this actually fitting. The return line needs to go on the same line as the one that feeds the rockers. It’s just a way to identify the line as there has been some confusion even in normal rebuilds with folks not thinking and getting the lines crossed. Not a good idea! Some folks choose to use an auxiliary “T” fitting prior to the filter (between the engine and filter) so as to offer a bit more oil to the rockers (than blocking the original line). As you may or may not know there is not much oil going up to the valve train with the stock tank set up. Most block the chain oiler as it is very messy and engine oil does not make for good chain lube regardless. Use an appropriate chain oil designated lube.